A third version of this scheme is back in with planners for approval. The Foster + Partners designed £1bn mixed-use scheme will see 500,000-plus sq ft of homes and shops built behind the existing 1911 facade. 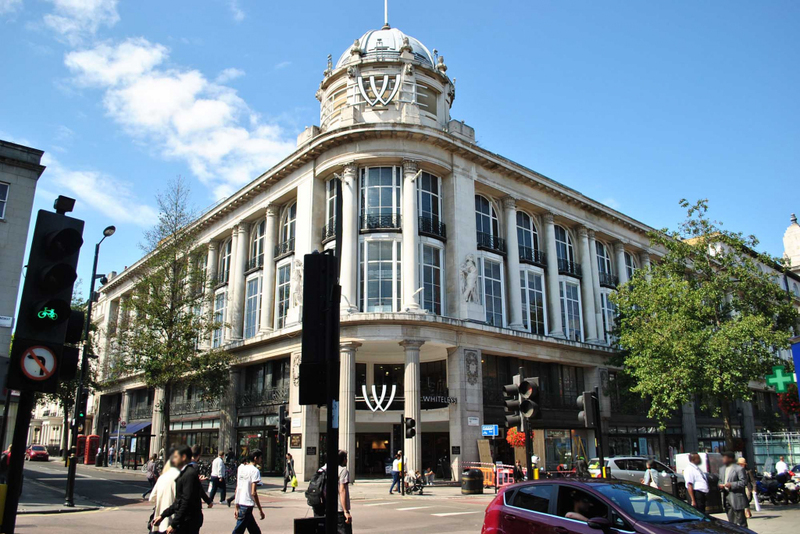 A joint venture between a Meyer Bergman-advised investment fund and Warrior Group aims to give the once grand Grade II-listed department store in Bayswater a new lease of life. Under the revised plans two controversial residential towers will be dropped a floor and the number of one and two bedroom flats increased from 44 to 78 while larger four bedroom homes will be reduced from 37 to seven. This building contains a collection of chain retailers in a former department store, plus a cinema, gym and bowling alley. 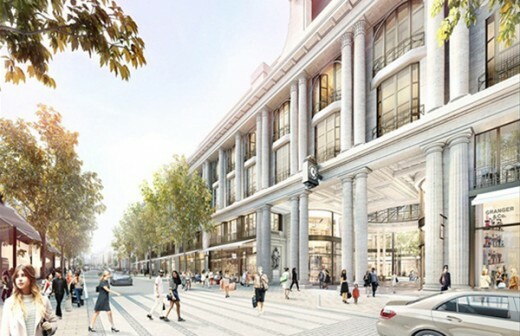 Foster + Partners’ plans for the overhaul of London’s Grade II-listed Whiteleys shopping centre have been approved despite opposition from locals. Westminster City Council approved the contentious scheme last night, but will now look into setting conditions concerning the scale of two residential towers that form part of the proposal, alongside a gym, hotel, cinema and new shops. The proposal is for a joint venture between a Meyer Bergman-advised fund and Warrior Group. 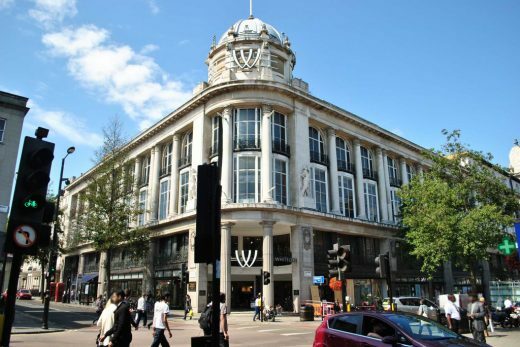 Get Whiteleys Right, a local campaign group, fears the 10-storey-high additions at the back of the 1911 building will block daylight from existing flats in nearby Kensington Gardens Square. Get Whiteleys Right also raised concerns about the lack of affordable housing on site. Developers Meyer Bergman and Warrior Group will however contribute £6 million to affordable housing off site in the borough. Heritage groups including Historic England and the Victorian Society likewise objected to the application. But architects Foster + Partners insist their designs will address the current building’s shortcomings, while retaining its façade and central dome – designed by architects John Belcher and John James Joass. ‘The proposals represent an opportunity to reinvigorate and repurpose a landmark heritage building in this part of Westminster, addressing its current deficiencies as an outdated and failing, inward-facing shopping centre,’ the architects said in planning documents. 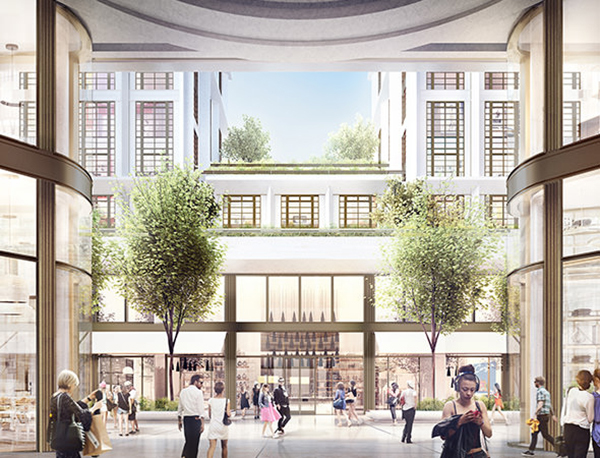 A joint venture between a Meyer Bergman-advised fund and Warrior Group has submitted a planning application to Westminster City Council seeking to deliver a £1 billion redevelopment of the former Whiteleys department store in Bayswater. The scheme will open onto Queensway, creating an active frontage for a revitalised retail offering and designed to draw the public into the inner courtyard. Meyer Bergman is a privately held real estate investment management firm headquartered in London. It advises three closed-ended, value-add real estate funds with a total of approximately €3 billion of retail and mixed-use assets on behalf of global institutional investors, which include leading pension funds, endowments and asset managers. Meyer Bergman targets under-managed or under-utilised properties across major markets in Europe, typically in off-market transactions sourced through its extensive network. It manages these actively to deliver attractive returns to its investors. A group of companies formed by Warren Todd to joint venture, invest in and manage unique mixed use developments where people are inspired to live, work and play. Warrior encompasses a leading team of retail, leisure and residential specialists with a focus on deliverability via planning design, asset and construction management. This multi faceted approach enables Warrior to deliver optimum results for both investors and occupiers alike.